Search "Floral" 23 results have been found. From the creative hand of Christian Siriano, this large scale floral print pattern used soft shades of rose, blue and gray on a cream background in this bedding set. Pretty Petals is an amazing, beautiful pattern of applique petals on long flowing vines in beddgin sets. Etched floral pattern on a purple background with accessories to complete the bed. 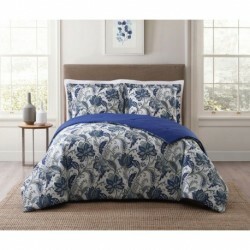 Large scale floral comforter sets in blue on a textured grey base face on a 100% cotton fabirc. Detailed repeating floral scroll comforter sets in blue print on a blue base face on a 100% cotton fabric. 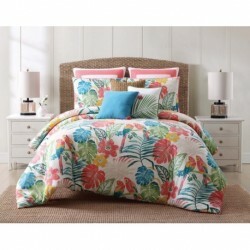 Classic floral scroll print with a blue base comforter sets. 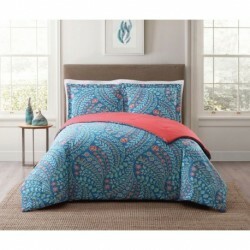 Classic floral scroll print with a blue base quilt sets.